Spray liquids to clean parts? Wash containers? Rinse, cool, plate? Apply chemical coatings? Spray clean products? 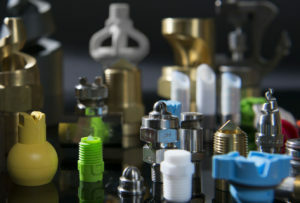 AXXO Sales Company, Inc. has over 30 years experience and offers thousands of spray nozzles and tank mixing eductors for almost every industrial application. Cans, bottles, engine blocks, circuit boards, metal products, food products and containers all get washed during manufacturing. After rinsing, they also need to be properly dried. 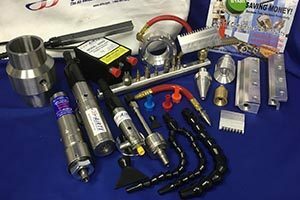 AXXO Sales Company, Inc. offers complete Air Blower Drying Systems with Air Knives and Nozzles to meet the most difficult drying and blow-off challenges. Would you like to save money on compressed air? Our Air Curtains and Air Saver Nozzles can give you 25 times the air of a drilled hole or open pipe for FREE! AXXO Sales Company, Inc. will help you select products that conserve energy and reduce costs, while improving your plant operations. QUESTIONS ABOUT YOUR APPLICATION? ASK OUR TEAM. We work as a unified team with our manufacturing partners to provide our customers the highest quality advice possible about fluid process equipment. © 2019. ALL Rights Reserved. | AXXO Sales Company, Inc.